As architects, designers and fabricators, Nomi had the opportunity to create a completely custom environment for this engineering firm. 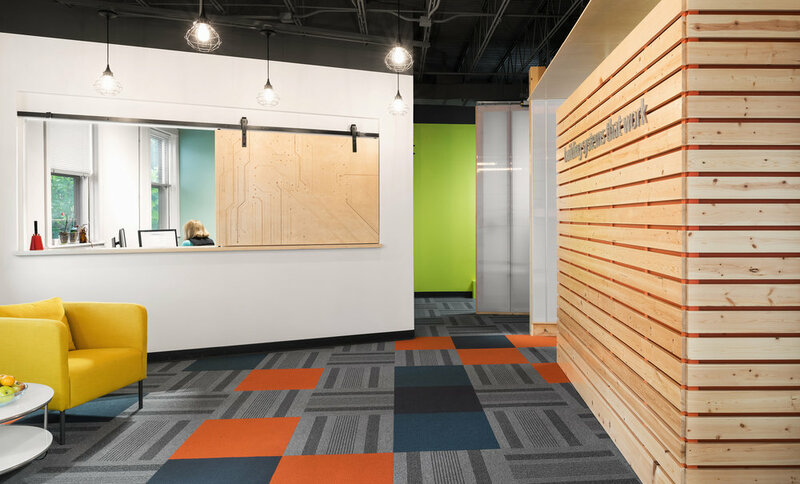 By using color, texture and material we were able to craft a truly inviting and productive work space. The central conference room adjacent to the reception area is enclosed by a translucent, polycarbonate-paneled wall system which creates a feeling of transparency without sacrificing privacy. 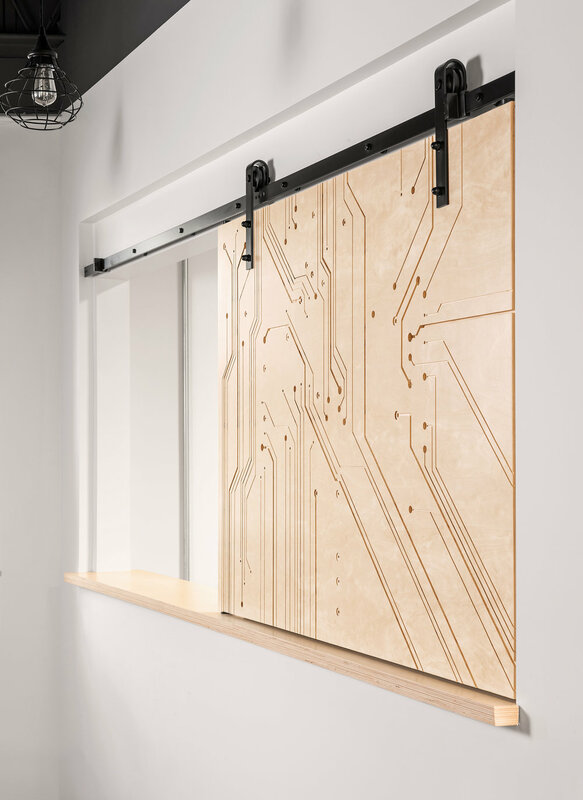 In the large open work area on the second floor, the custom, interlocking desk system we designed and fabricated provides a large work space with flexibility and visual privacy.